Design Probes or Cultural Probes can be used to mobilise tacit knowledge from people: people are invited, encouraged and stimulated to document parts of their own lives. My first experience was with cultural probes in 2002, during a student research project with Pieter Desmet and Paul Hekkert at my faculty. Since then I’m convinced, applying probes in several projects at 31Volts and learning by doing. Design Probes by Tuuli Mattelmäki (university of Art and Design Helsinki). The book consist of 2 parts, roughly: the first part describing design and the development, usage and experience of design probes and the second part is a presentation of 6 articles. Nice to find work of some TU Delft Studiolab people; text of Froukje Sleeswijk-Visser, graphics of Pieter Desmet and Stephen Wensveen’s Waking-up study. Selection of my notes. Some new, some confirmed. Using Design Probes is a time-consuming, and therefore sometimes costly research method. Is standardising possible? No, because 1. the probes work because specifically designed for a certain user and challenge, 2. the researcher has to keep challenging her/himself. The reasons of probing (I did not distinct these actively before reading the book): Inspiration, Information, Participation, Dialogue. 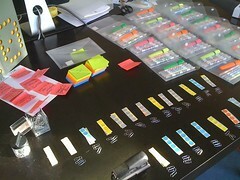 Analysis of materials gathered by creative methods can be be done systematically. But it doesn’t have to be ‘rocket-science’. Get together for reading, immersing, intuitively interpreting and clustering will reveal insights and patterns. 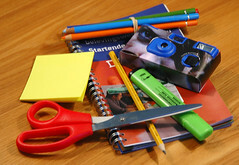 Next to research time, also time should be scheduled for analysis and embedding of the results. Tip for ‘implementing’ or using for concept development (the visualised/written results and rough materials) of a probes study: organise a workshop. Start with immersing in the results and let the participants think of the informant in an empathic way. For instance by letting participants write a holiday post-card on their behalf. 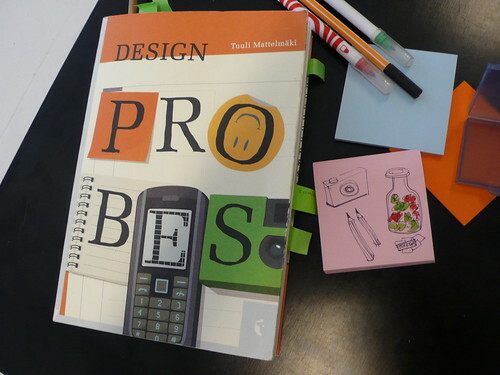 If you want to read about design probes: this book is a good reference. If you really want to learn: I’ve already got some experience regarding design probes, and for me it’s clear the subject is only coming to life when taken to action. I learned most by doing, prototyping and working with probes myself. (For instance entrusting the informants they are the experts of their own life and therefore important and instructing them about the probes and discuss the results together is quite important.) The book inspired me for trying some nice new things though!